Deren Eryılmaz started her formal music education at Bilkent University, Music Preparatory School in Ankara, Turkey. She attended the Piano Department of the Faculty of Music and Performing Arts of Bilkent University, with a merit scholarship. She continued her education at the Rotterdam Conservatory (CODARTS) as a student of Michael Davidson in 1999 and graduated and got her bachelor degree in 2003. She participated in several master classes in Turkey and abroad; studied with Pascal Devonyon, Gülsin Onay, Mehmet Okonsar, Aquiles Delle Vigne and Georgy Sandor. Eryılmaz performed at various festivals, gave solo and chamber music concerts, participated in multi disciplinary performances and performed with national and university orchestras as a soloist in The Netherlands, Belgium, Turkey and France. Eryılmaz received her master’s degree at Baskent University State Conservatory in Ankara under the supervision of Mehmet Okonsar in 2007. She also worked as a research assistant during her studies at this university while she was responsible for organising the national and international concert tours of the Baskent University String Orchestra. Between 2005-2009, Eryılmaz was the Chair of the Selection and Organization Committee at The Center for Contemporary Arts, Ankara. Throughout four concert seasons, the Committee, under the supervision of Eryılmaz, organized over 100 chamber music concerts as well as electro-acoustic concert series, lunch concert series, world music and jazz series with renowned international performers. She was a member of the Academic Team of the Bilkent University, Faculty of Music and Performing Arts, as a lecturer and instructor (2008-2011) at the Piano Department. In addition to her academic duties and responsibilities, she was the the coordinator of the Piano Department (2009-2011) and the Performance Organization Coordinator (2008-2010). She also supervised the Early Age Music Training Program (2009-2010) and Erasmus Departmental Exchange Program (2009-2011) of the Faculty. Eryılmaz started working on the Taubman Approach with Edna Golandsky in 2011 in New York. Following her acceptance to the Teacher Training Program of the Golandsky Institute in 2013, she is certified as an instructor of the Institute in 2014. The students she has been teaching throughout her academic career, have been successful in receiving acceptance to internationally distinguished schools with full scholarship grants, as well as in performing as soloists with various orchestras. Her students have also been receiving awards at international piano competitions. 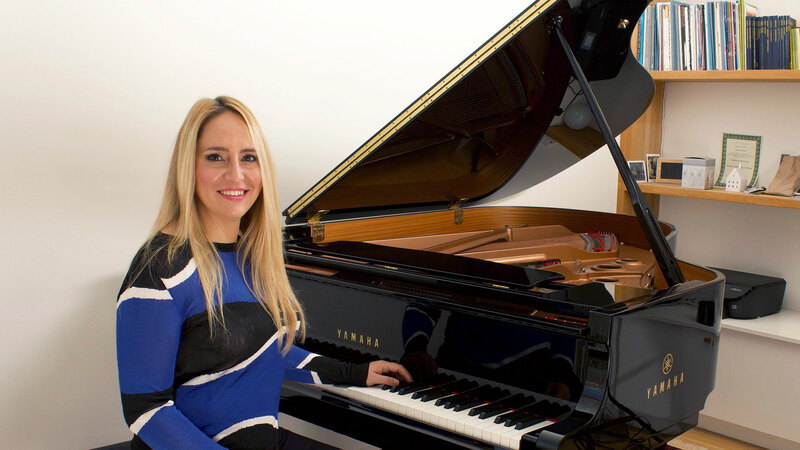 She moved her piano studio from Istanbul to London where she currently lives and teaches the Taubman Approach. Also she pursues her career with solo and chamber music concerts and continues her studies with Edna Golandsky in New York.